Married At First Sight: Happily Ever After recap shows that Bobby Dodd surprises Danielle Bergman for their anniversary. 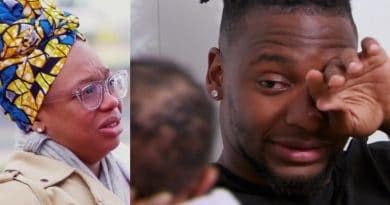 The Lifetimetime’s MAFS also shows Shawneice Jackson and Jephte Pierre welcome home baby Laura Denise. The arrival of Jephte and Shawniece’s baby girl have the other couples even more excited. Ashley Petta and Anthony D’Amico go shopping for baby stuff and realize they have nowhere to put anything. So, Ashley mentions the idea of buying a house. Bobby Dodd and Danielle Bergman celebrate their six month anniversary and Bobby goes all out. Shawniece Jackson and Jephte Pierre also celebrate their anniversary as best they can as brand new parents. Jephte and Shawniece seem to be adjusting quite well and are trying to keep some romance in their marriage. Here’s what happened last time on Married At First Sight: Happily Ever After. Married At First Sight: Happily Ever After stars, Bobby Dodd and Danielle Bergman continue to disagree when it comes to finances. Danielle wants to spend a thousand dollars on teeth cleaning for their dog Henry. Bobby Dodd actually stood his ground and said no and Danielle wasn’t thrilled but seemed to understand. When Pastor Cal came to visit, he was surprised but happy to hear that Bobby had finally put his foot down. Pastor Cal also asked the couple if they would consider not moving. Bobby would be happy not to move because he is worried about losing their savings. Danielle is adamant that it needs to happen, and soon. On a romantic note, it is Bobby and Danielle’s six month anniversary and Bobby goes all out creating a fine dining experience for Danielle. He actually created and printed a menu in which the prices for the courses are gestures of affection such as a kiss or favorite memory. Bobby has also been keeping a pregnancy journal and he surprised Danielle with it as his anniversary gift to her. 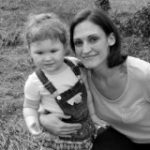 Some beautiful documentations and memories for her to look back on. Married At First Sight: Happily Ever After’s Anthony D’Amico and Ashley Petta are just starting to go shopping for some of the baby things they’ll need. They want to compare items and see things in person before they set up their baby registry. As they shop they see just how much stuff a baby requires. They get a little overwhelmed wondering where they are going to put it all. Ashley and Anthony don’t have a lot of space in their apartment so Ashley brings up the idea of buying a house. The lease for their apartment is up at the end of the month so Ashley feels this is the perfect time for them to move into a house. Anthony doesn’t think this is the right time to move. He says this is the biggest purchase they’ll make in their lives and they only have a month and a half until the baby arrives. He thinks throwing a move into the mix now will just make things more stressful. Married At First Sight: Happily Ever After stars, Shawniece Jackson and Jephte Pierre welcome home baby girl Laura Denise. As they adjust to family life as parents, Shawniece and Jephte seem incredibly happy. Jephte is so thrilled to be a dad that he is already talking about having more kids. Shawniece jokes with him saying he isn’t the one who has to endure preg pregnancy and labor. She wants more children too but she wants to wait a while. It is also Shawniece and Jephte’s anniversary and they try to celebrate as best they can now that they’re a party of three. They make the best of it and have a nice family dinner together. Watching Shawniece try to eat while nursing baby Laura, he can see how difficult motherhood can be. Jephte says he appreciates Shawniece very much and she is doing an amazing job. He also says once Laura is on the bottle he will kick in and help more. Jephte and Shawniece are struggling a little with intimacy because Shawniece has lost her confidence in her body. Also, since they reconciled, Shawniece hasn’t kissed Jephte because of her trust issues. Jephte understands that she is scared and is trying his best to be more affectionate. Jephte seems to really be giving his all and build a loving relationship with Shawniece. 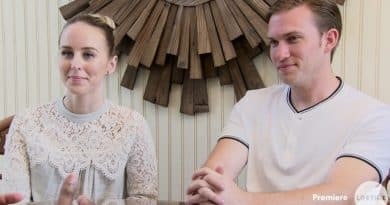 The MAFS couples are making real progress in strengthening their marriages and getting ready for parenthood. Tune in to Lifetime Tuesdays at 10 PM to keep up with your favorite MAFS couple. Come back to Soap Dirt for all the latest Married At First Sight: Happily Ever After spoilers, recaps, and news. ← ‘Bold and the Beautiful’ Spoilers: Taylor’s Wrath Leaves Steffy Headed for Custody Battle?